The 45FP is a lightweight flamenco guitar built for the guitarist seeking the authentic flamenco sound or the bright and percussive tone of a Spanish-nylon-flamenco-style guitar. With a flattened neck angle and lightweight construction, the 45FP has low string action up and down the neck for quick runs and a snappy, responsive tone. 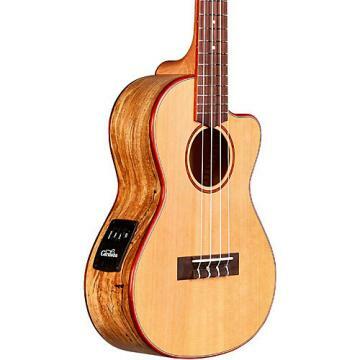 The 45FP features traditional ebony friction pegs instead of tuning machines. Comes with a HumiCase Protege. Order today and own a true classic with unique vintage appeal. Nice looking and has a real authentic aura about it, but the neckset on mine is such that ALL the available saddle needed to be used just to get it into acceptable flamenco height action-wise. 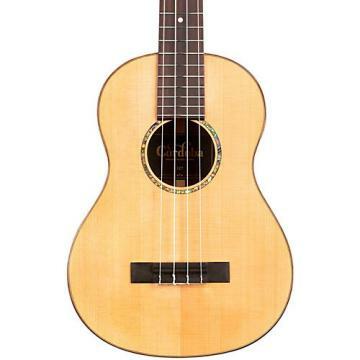 It came set up just like a classical with 5/32" on the bass at 12th fret and 1/16" on the treble side. Bringing it a full 1/32" lower was all I could get out of it. No room to lower if neck creeps over time. The neck is deeper (not wider)than most, but I like it. This is my first guitar with pegs and they are not nearly as difficult to use as I thought. However, the great looking pegs rest on the back of the humidifying case which you must purchase in order to receive the limited lifetime warranty as opposed to one year. This means the neck is not supported by the case as it ought to be and I worry about that for two reasons. One-the guitar neck may tend to be pushed forward over time and I am already out of adjustment room on the saddle and secondly I would worry that even a small jarring could break the neck. Soundwise, the guitar is a good value for the money, but I am disappointed in what could have been a great guitar. 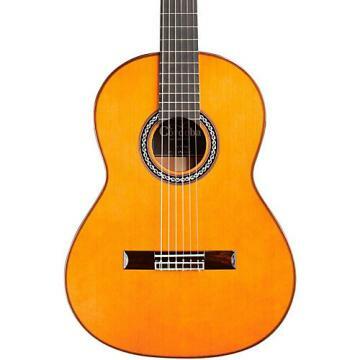 .The 45FP Flamenco Guitar is a good value for the money. The sound was Flamenco sounding with sufficient volume. It is easy to play, but the action is a little too high for Flamenco. The back and sides are laminated wood although the top is solid. Overall a good value.